An accident can occur at any given moment on any given day. When accidents result in injuries the impact can be life altering. 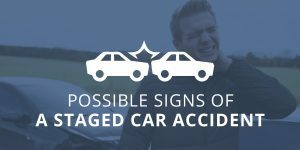 At the very least, an accident can be frustrating, draining, and stressful, but it can also be permanently debilitating or even fatal. 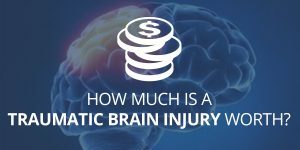 Thanks to laws put in place for cases regarding personal injuries, it is possible for you to earn compensation for the injuries that another party has caused. After all, thousands of dollars in medical bills and lost wages can take a serious financial toll and someone should be held responsible when the accident was not entirely your fault. When it comes to seeking compensation, the process of filing a claim may seem daunting or confusing. However, the average personal injury claim can actually be dissected into eight easy steps. 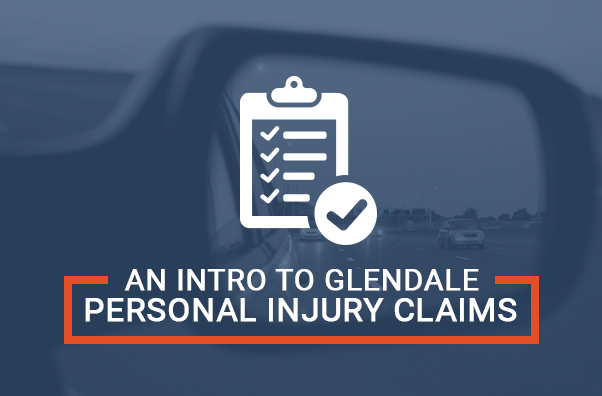 All personal injury cases start with an accident. 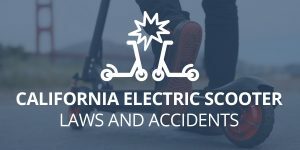 Whether a car crash, a motorcycle crash, a pedestrian accident, a dog attack, an Uber/Lyft accident, or a slip and fall incident, the timeline for cases remains consistent. Victims should start by seeking medical treatment immediately after an accident. No matter what kind of accident occurs, the most important thing to do is seek medical attention. Even if you feel fine, you should still seek a medical evaluation. Injury symptoms don’t always appear immediately after the accident. This is especially true of injuries sustained in a traumatic incident. It is important to keep all documentation of the medical expenses, as they will be necessary for your claim. You’ll also want to document any visual injuries like cuts, bruise, and scrapes with photos. These photos can play a crucial role in pursuing your claim. Once you’ve received medical attention, you should call the police if you have not called them yet. Make sure to get a copy of the police report. Get the contact information for the other party as well as any witnesses. To many, natural intuition might be to wait for a diagnosis or an initial offer from the insurance company before contacting an attorney. However, calling an attorney should fall much earlier on the timeline, because an initial consultation is free. An attorney will not take a case that does not require an attorney, so you have nothing to lose. At best, you’ll walk away with a settlement that much greater than you would have received on your own. At worst, you’ll receive some much-needed advice at no cost. There are many ways obtaining legal counsel can help you with your claim. There are many little details you might think are insignificant. With a skilled personal injury lawyer on your side, however, it’ll be much harder to slip up on those little things. Receipts and bills that might seem trivial could help you get a bigger, better compensation. Having an ally to help prepare your case is vital when filing a personal injury claim. You want to make sure that you are as equipped as possible, and any kind of support, both professionally and emotionally, is helpful. Insurance companies are sneaky. Large insurance companies are ruthless. Having a personal injury lawyer who knows the rules of the game as well as your potential compensation will prevent an insurance company from swindling you. An experienced personal injury lawyer has years of experience with all kinds of personal injury cases. This experience is invaluable in assessing the potential compensation that you can receive from your claim. Once you’ve hired an attorney, he/she can begin to investigate the claim and review your case. There are a number of important details and documents your attorney will need for your claim. During this process, it’s important you maintain an open and honest dialogue with your attorney. If you have large debts, previous injuries, or pre-existing medical conditions, your attorney will want to know beforehand to avoid any surprises later on. Lying or hiding any of these details could ultimately jeopardize your case. Before a lawsuit is filed, an insurance claim will first be filed with the at-fault party’s insurance company. In certain instances, a personal injury case can be settled at this step in the process without ever having to reach a courthouse. A good attorney will utilize the threat of a lawsuit to their advantage in dealing with the insurance company. When you receive an initial offer from the insurance company, your attorney will advise you on the costs and benefits of accepting a settlement at this stage. If you are unhappy with your offer, your attorney can commence with a lawsuit. The exact value of your compensation is not something that can be guaranteed, and any possible compensation varies case-to-case. Details and the extent of your injuries and damages can impact the outcome. For example, because of California’s share fault laws, your compensation will be reduced if you are found to share part of the liability. In California, there is a time limit for how long you can file a claim after an injury. You are able to file a personal injury claim for up to two years after the injury takes place. If you are filing a claim any time after that, there is a high chance the courts will not hear your case. An exception to this is if you are filing a claim against a government entity. Then, you only have six months to file the claim. In certain accident cases there may be multiple parties responsible for an accident. If you share part of the responsibility you may admit partial liability or the defendant may claim it as part of his or her defense. In these cases, your compensation will be deducted by your share of the liability. For instance, if it is deemed that you are 35% responsible for the accident, then 35% will be deducted from your final settlement. If the insurance company refuses to pay the true value of what a case is worth, then it’s time to file a lawsuit. The initiation of a lawsuit commences the litigation phase in the timeline of a personal injury claim. From this point on your attorney will be dealing with defense counsel instead of an adjuster from the insurance company. The lawsuit will begin with discovery. In the discovery process both parties will investigate what the other party’s legal claims and defenses are. Parties will be able to make requests for production and admission. A request for production gives parties the ability to request documents relating to the other party’s claims and defenses while a request for admission provides the ability to ask the opposing party for admission of certain facts pertaining to the incident. Once the information from discovery has been collected, lawyers will generally try to reach a settlement amongst themselves outside of the courtroom. This process, also known as alternative dispute resolution, may lead to an agreement without the need for trial. If an agreement cannot be made, the case will go to trial. Trial marks the last step in a personal injury case. All of the information gathered through discovery will be presented to a jury for them to decide on the settlement amount. Physical evidence, depositions, photos, witness testimonies, and interrogatories, will all be provided for the court. At the end of the trial a settlement will be reached. Megeredchian Law has been dedicated to helping personal injury victims, and we will help you hold the other party accountable for their actions. With a 99% success rate, you can rest easy you’re getting the best possible outcome for your case. For a free consultation, please fill out the contact information form on this page or call us at 888-243-2050.